Robert G. “Peanuts” Wagner passed away on Friday, March 22 unexpectedly at his home. He was 81 years old. He was born in Hartford, Wisconsin, on December 2, 1937, to George and Elizabeth (Kreilkamp) Wagner. He was given the nickname “Peanuts” by his classmates in grade school because he was the smallest boy in the class. Growing up, Bob loved playing and watching baseball with his friends. He attended St. Kilian School where he learned Latin and how to pray. On August 18, 1956, he married JoAnn (Malchow) who preceded him in death on December 3, 2002. Robert served in the National Guard for six years and requested discharge once his children arrived in his life. He was employed at W. B. Place & Company in Hartford for 46 years and worked five side jobs during his younger years. He is survived by his loving children, Christine (Ernest) Schimpf, Catherine (John) Hilt, Linda (James) Hasch and Steven Wagner; six grandchildren April (Eduardo) Guzman, Kayla (C.J.) Sanfelippo, Noah Mann (fiancé Marissa Porter), Ryan Katona (Katherine Rodenkirk), Jonathon Hasch and Jessica Hasch (fiancé Joseph Neff); two step grandchild Nicholas (Nicole) Schimpf and Jacob Hilt; four great grandchildren Jasmine Mann, Isabella, Elliana and Olivia Guzman; two step great grandchildren Chase and Brody Schimpf; his sisters Janet (Douglas) Pfister, Carol Hose and Susan (Robert) Welsch and many extended family members and dear friends, especially Michael Buckley, his childhood friend. Robert was preceded in death by his parents, his brother Thomas Wagner (2014), and his brother-in-law John Hose (2001). In Robert’s early years he loved to take his family up north fishing to Big Sand Lake to catch blue gills and sunfish, playing cards with his wife and friends, listening to the country music ‘greats’, golfing at the local golf courses and pitching horseshoes in his own backyard. Robert was known for his infectious laugh and wonderful sense of humor drawing family and friends close to him. He was an avid bowler, earning the prestigious ranking of a 700 Series ten times. After 60 years of bowling, he regretfully had to retire. One of the most important lessons Robert learned in life was that your family comes first, believing they are really all you have. After his wife’s death, he drew even closer to his children, hosting many family holidays and special events to keep the family close and connected. 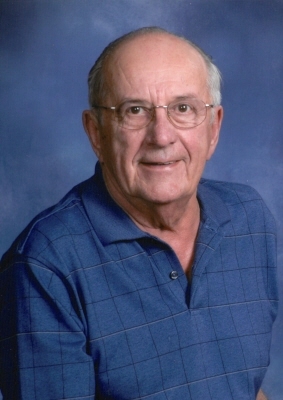 He enjoyed playing golf, reading - even his daughter’s Christian romance books, and watching the Notre Dame football games on Saturday afternoons. To say that he will be missed would be a vast understatement. Celebration of Life Mass will be celebrated at St. Kilian Catholic Church, 264 W. State St., Hartford on Sunday, March 31 at 5:00 PM with Fr. David LaPlante presiding. Visitation for family and friends will begin at 4:00 PM. Everyone is welcomed to join the family at a luncheon reception in the Gathering Space to follow. Robert will be laid to rest next to his wife in a private inurnment at St. Kilian Cemetery. To send flowers or a remembrance gift to the family of Robert George Wagner, please visit our Tribute Store. "Email Address" would like to share the life celebration of Robert George Wagner. Click on the "link" to go to share a favorite memory or leave a condolence message for the family.